Richard Laux, age 77 of Carlyle, passed away at Evelyn’s House in St. Louis, Missouri, on Friday, October 5, 2018. Mr. Laux was born in Breese on February 28, 1941, a son of Walter and Wilhelmina (Holthaus) Laux. He married Lillian Taylor on July 27, 1968, and she survives in Carlyle. 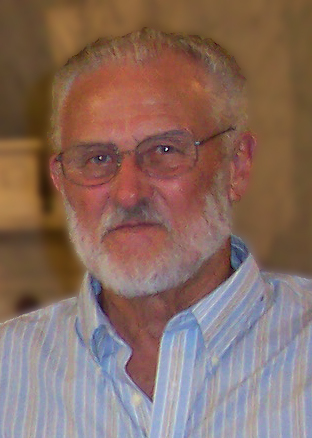 In addition to his wife Lillian, Richard is also survived by his daughters – Elizabeth Graves and husband Marc and Lynnette Harris and husband Jody, all of Carlyle; his grandchildren – Sarah, Kala, Richard “Bryan”, and Phillip Graves, and Wil and Raelyn Harris; his great grandchildren – Ellie Winkeler, and Cylus, Audrianna, and Quinton Cohoon; 2 sisters – Arlene Berry and Diane Meyer and husband Gary, all of Carlyle; and many nieces and nephews. He was preceded in death by his parents and a brother-in-law – Jerry Berry. Mr. Laux worked as a heavy construction equipment operator and was a member of the Operating Engineers Local 513 in St. Louis. He was a member of St. Mary’s Church and an active member of the Knights of Columbus, Council 1382 in Carlyle. Richard loved fishing, spending time with his family, and he also enjoyed gardening and picking pecans. He served in the Illinois National Guard. A Mass of Christian Burial will be celebrated at 11:00 A.M. on Friday, October 12, 2018, at St. Mary’s Church in Carlyle with Fr. George Mauck, celebrant. Interment will follow at St. Mary’s Cemetery in Carlyle. Visitation will be held at St. Mary’s Church on Friday morning from 9:00 – 11:00 A.M. The Knights of Columbus will pray the rosary in Richard's memory at St. Mary's Church at 7:00 P.M. on Thursday, October 11. Expressions of sympathy in memory of Mr. Laux are suggested to St. Mary’s Church or to Evelyn’s House (hospice facility) and will be received at Zieren Funeral Home in Carlyle.